And what does the future hold for these notebooks? The whole juggernaut that is now Linux on Dell started as the brainchild of two core individuals, Barton George (Senior Principal Engineer) and Jared Dominguez (OS Architect and Linux Engineer). It was their vision that began it all back in 2012. It was long hours, uncertain futures and sheer belief that people really did want Linux laptops that sustained them. Here is the untold story of how Dell gained the top spot in preinstalled Linux on laptops. Where do you start when no one has ever really even touched such a concept? The duo did have some experience of the area before. 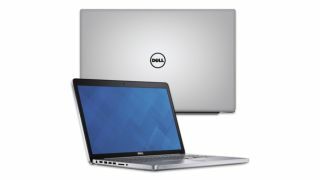 George explained that the XPS and M3800 Linux developer’s laptops weren’t Dell’s first foray into Linux laptops. Those with long memories may remember Dell testing the waters for a brief while by having a Linux offering alongside Windows laptops. By their own admission it didn’t work out. “We misread the market,” commented George. This first attempt at Linux on laptops failed mainly because most non-technical users were blinded by the cheap price and didn’t understand what they were actually buying. Dell found itself with purchasers who thought that they had scored an incredibly cheap laptop only to hit the inevitable question: “Where the heck has Windows gone?” which was generally followed by costly support issues and potential returns for the company. The other unfortunate side effect was that by appealing to users with low-end hardware the experience was less than impressive even for those knowledgeable in Linux. Thankfully Dell decided to give Linux on laptops a second attempt thanks to George and Dominguez’s internal lobbying efforts. It isn’t a well-known fact but Dell has an internal skunkworks project where tiny projects can pitch ideas and get official Dell support. Proving you can’t keep a good operating system down, George and Dominguez bid for funds in the Dell projects forum to produce a quality alternative to OS X and Windows. It was a tense wait to see if they had done enough to get the blessing of the skunkworks. Thankfully, the project scored a green light. However, the struggle was only just beginning as they had a comparatively miniscule budget of $40,000 (around £32,000, AU$52,000) and just six months to prove that not only could they build a compelling Linux on laptops offering but that Dell could turn it into a viable product and make money off of it. Learning how not to create Linux laptops from the first time was helpful but there were some major differences with the new project. The first one being that they needed to nail their market and it was a crucial concern given their previous failure to find the right one. In order to make sure they had the right ideas and concepts they jumped on a plane bound for the West Coast and landed in California to speak to several “very large web shops” that the pair declined to name. What made the trip that bit more awkward for them was the fact that the Dell duo could only show some prototypes of a laptop that they “may sorta perhaps” have coming to market. No guarantees, no promises. Universally the reception was ‘Get back to us when you have the real product but we sure are interested.’ This was positive news because the pair knew that these were the type of companies that could purchase many units and make the project financially viable. This time the duo had the right initial market. It was big, commercial web-scale operators and their developers who were crying out for a fully supported Linux laptop. Back from their successful trip, the duo realised that the project would never see the light of day without big support from someone with gravitas championing its cause. Fortunately, they didn’t have to look far. In this instance, they had Michael Dell’s executive assistant as their champion – aside from Mr Dell himself they were unlikely to top that, so the team felt confident their backs were covered, but now needed to deliver on their promises. “They can provide the air cover but you need to work hard on the ground,” was George’s take on the situation and when it came to the hardware they had to make sure it was a good offering and more importantly worked well with Linux. Cost was almost secondary to making sure the product worked and was popular with their big clients they’d met previously who had loved the idea. The first offerings needed to be both priced attractively and be fairly configurable given that they had to appeal to a range of users. The XPS was seen as the obvious choice given its quality, expandability and popularity. The first XPS Linux offering (Gen1 circa 2012) was a single configuration built and offered up to the world. It couldn’t be found on Dell’s website, though. The initial notice of availability was given via George’s personal website. He also noted that it was most definitely a beta product and had all the baggage that the tag brought with it. George recalled how in a typical week his blog would average 1,500 hits a day. When the XPS development station was mentioned views skyrocketed to a peak over several weeks of 9,000 views a day. Not epic, but a good start. Requests for beta testers (who had to commit to purchasing their own units – this was no freebie) rolled in left, right and centre, eventually totalling over 6,000 requests to be included in the program, which quickly proved that the idea of Linux on Dell laptops had a viable and, importantly, profitable future. Internally, word got around about this cool new project that was going on. In typical geek fashion people started to donate time and resources for free (well, on Dell’s dime technically but no one was counting). A few lucky individuals, including Dominguez, were permanently borrowed for third line Linux server support, never to return as bigger endeavours beckoned. Power users and developers know that RAM is king when trying to develop and perform debugging. While the Gen 1 XPS was all good, the screen was a bit small for some and the amount of RAM that could be installed was a little limiting. One of Dominguez’s first off-the-hip moves was to get a larger, more powerful Developers Edition laptop for those they had courted earlier that same year. An M3800 notebook got the Linux makeover for those developers that wanted performance over size. Fortunately, both machines shared the same peripherals, trackpads etc. Just as things seemed to be coming together the project narrowly avoided a near-fatal cancellation. No one saw it coming but in late 2012 Dell was looking to save money as times were proving hard after the global recession of 2008. Everyone and every project was fair game to be scaled down or closed to help the bottom line. The Linux on laptops project, just weeks from release, was a plump and juicy target for some and George and Dominguez weren’t even sure if the project would ever see the commercial light of day. This meant a slowly but surely approach with limited but well-configured systems available, as multiple configurations cost development time, money and resources.